Halloween's approaching and boy do we have some great deals and steals to share with you! Check out the offers at IHOP, Olive Garden, Red Lobster, Yankee Candle and one of Long Island’s family farms! 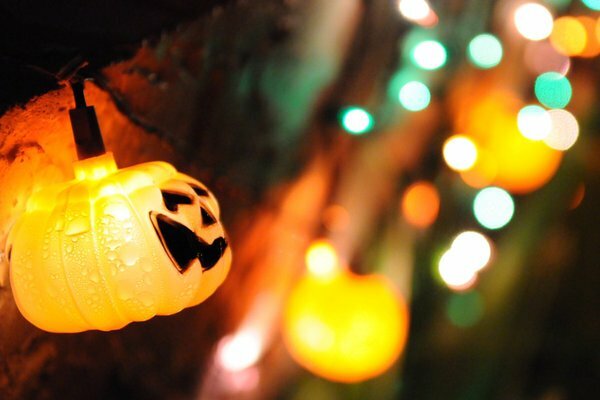 Halloween is next week and we have some great local steals and deals to share with you! It’s a holiday that everyone can enjoy, from the kids to the adults, whether it’s dressing up, decorations or food. Check out these savings and deals at IHOP, Olive Garden, Red Lobster, Yankee Candle and one of Long Island’s family farms for pumpkin patch fun, corn mazes, hay rides and more! IHOP: Pancakes are great for making different faces, but come Halloween kids can enjoy a scary face pancake. Head over to a participating IHOP on Oct. 31. Kids age 12 and under can eat it for free from 7 a.m. to 10 p.m.
Olive Garden: Kids can enjoy a free kids meal with the purchase of an adult entree from Oct. 28 - Oct. 31. All you need to do is sign up to Olive Garden's email newsletter to receive a coupon. Red Lobster: Sign up for Red Lobster's Fresch Catch Club and you can get a coupon for a free kids meal with the purchase of an adult dinner entree. The offer is available through Nov. 10 and is only valid Monday - Thursday. Yankee Candle: Candles can help set the mood for Halloween. Select from a variety of colors and scents. Use this coupon and save $15 off your next purchase of $45 or more. The coupon is valid through Oct. 27. Schmitt’s Family Farm: Looking for some Halloween and autumn fun? Whether it’s for the day or night, you’ll enjoy a visit to this family farm with its pumpkins, corn maze, haunted mansion and more. Save $1 off your admission to the daytime corn maze and $3 off your nighttime combo ticket to the haunted mansion and nighttime corn maze with these coupons. Wishing everyone a fun and safe Halloween filled with opportunities to save! Subject: LongIsland.com - Your Name sent you Article details of "Savings and Deals on Halloween Décor, Food, and Fun"